Phonec Phosphor Vol 2 is a collection 128 patches for Psychic Modulation’s Phonec 2. Phonec 2 is a synth designed to create a wonderful world of lo-fi, nostalgic, drift and harmonics: a broken, unpredictable analogue sound. Phosphor Vol 1 and Vol 2 delve deep into this dysfunctional synth environment to produce a unique blend of the holistic, the harmonious and the horrendous. By turns beautiful and terrible, Phosphor provides a meandering, capricious and sumptuous landscape of damaged and delectable sounds. Tapping into the vibe of synth pioneers such as Boards of Canada, John Carpenter and Aphex Twin, Phosphor delivers solid basses, resonant pads, clunky leads, deceptive sequences and claustrophobic atmospheres. All with a dusty, raw and suspicious character. Phosphor inhabits a world where ley lines meet motorways, where pylons loom over stone circles and where the ghosts of the past invent a future that will never happen. If you dig 70s prog, 80s horror, 90s house or a blend of all three, Phosphor Vol 1 and Vol 2 will provide you with a messy but methodical new palette of dynamic and dastardly noises to play with. 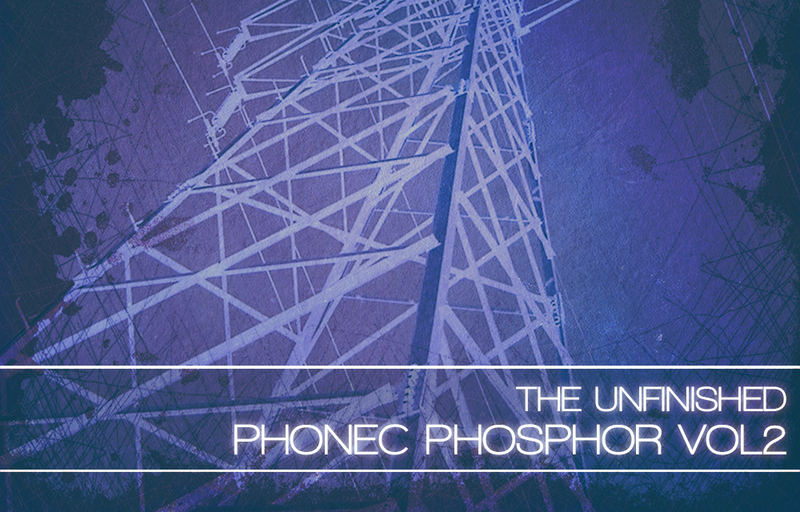 Phonec Phosphor Vol 2 is available for £14.99 +VAT.